Meg & Dia returned to New York City on their first tour since the release of their EP "It's Always Stormy in Tillamook." The opening bands Joey Ryan (with Kenneth Pattengale) and The Spring Standards were also great. For videos, check out my Meg & Dia Webster Hall playlist. 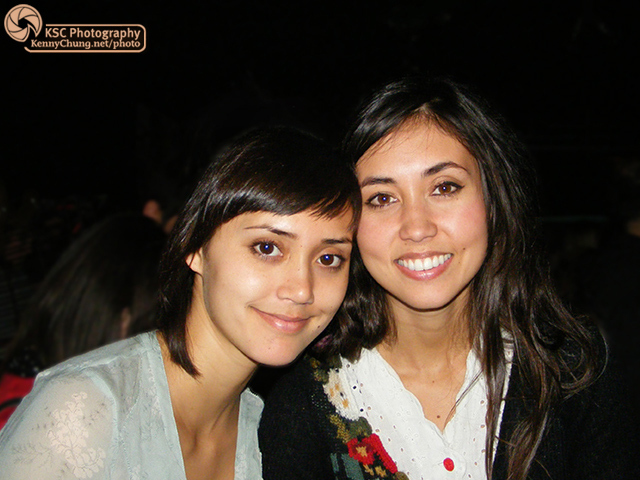 Getting up close and personal with Dia and Meg Frampton before the show at Webster Hall. 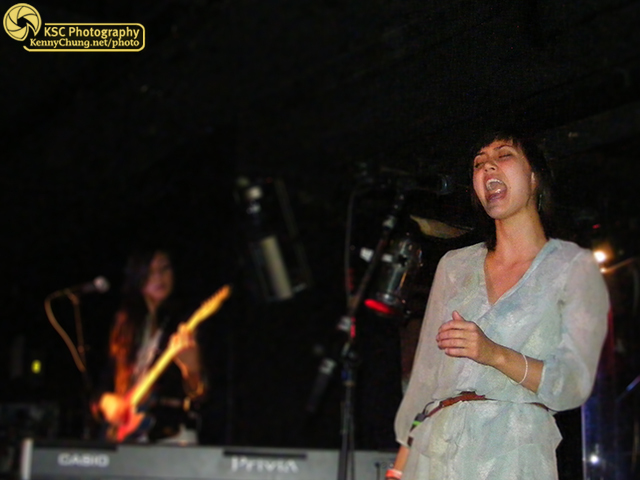 Dia Frampton setting up her mic stand for the show. Dia tuning Meg's Taylor guitar. 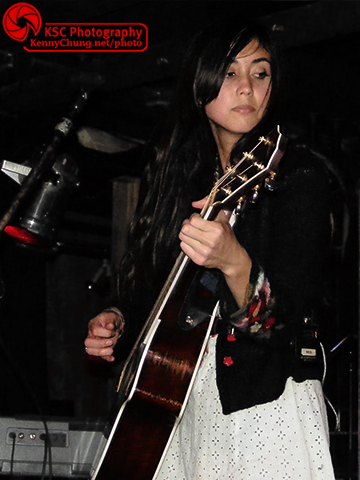 After the show, Meg said that they pretty much forced Dia to play rhythm guitar. Meg & Dia performing at The Studio at Webster Hall. 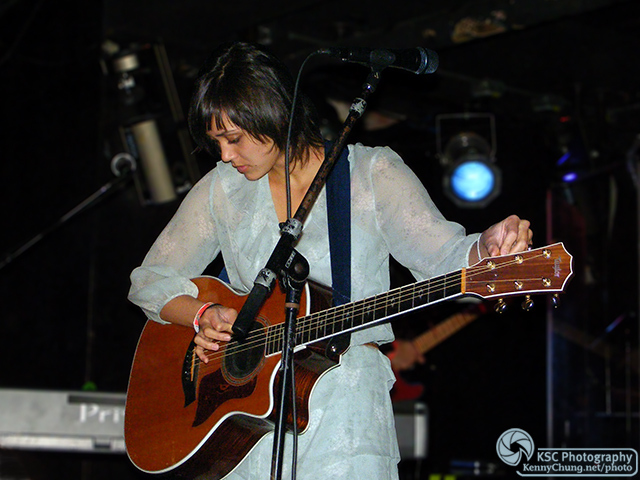 Meg Frampton playing her Taylor acoustic guitar at Webster Hall. 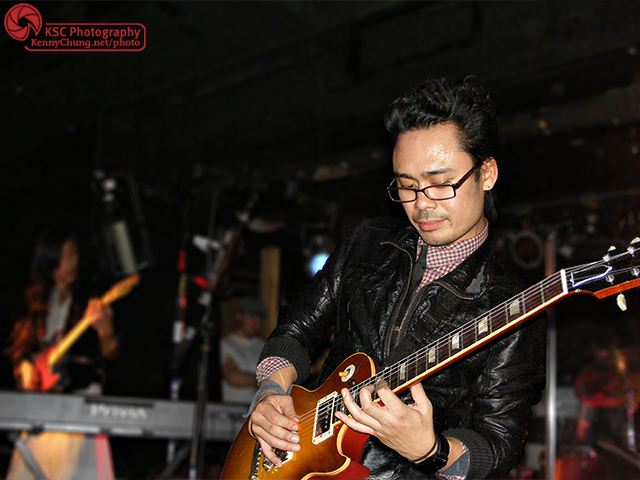 Carlo Gimenez on stage at Webster Hall. After the show, he joked that he remembered me from the Spill Canvas tour three years beforehand. 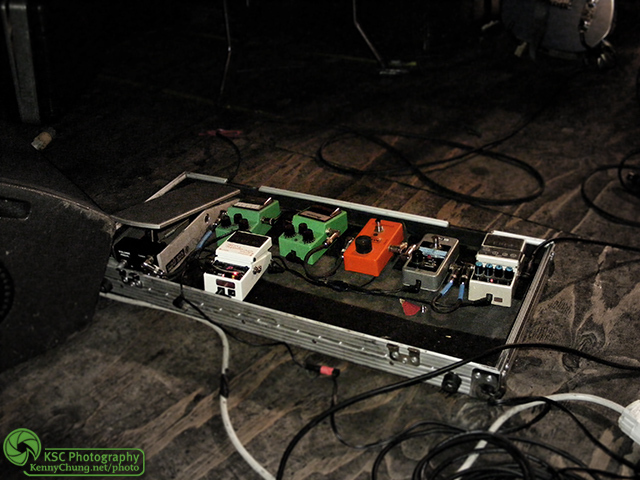 A look at Meg Frampton's guitar effects pedal board.